Okay, before you correct me, Helsinki is actually 462 years old (founded in 1550). However, as the Capital of Finland we are 200 years young this year! The story behind Helsinki becoming the capital is filled with fire and bloodshed. For instance, did you know that Finland was actually part of Sweden at the beginning of the 19th century and war was being waged between Sweden and Russia on Finnish soil between 1808 and 1809? Still today you can see fortresses in various states of repair and refurbishment along the southern Finnish coastline and Åland islands. Suomenlinna / Sveaborg fell to the Russians in 1808, and now the island fortress is one of 7 UNESCO World Heritage sites in Finland. Suomenlinna is worthy of a day trip in itself and I’ll share that later this summer! 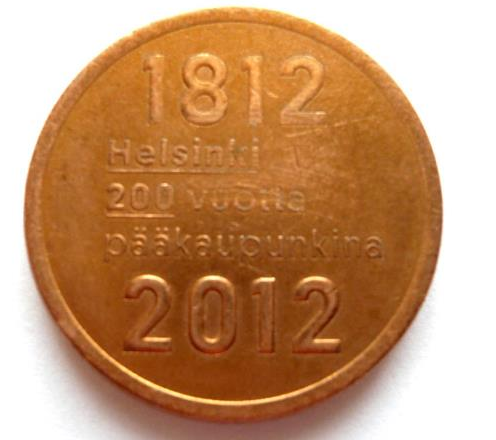 Emperor Alexander 1 decreed that Helsinki should become the capital of the Grand Duchy of Finland in 1812. The Russians put their stamp on Finland in many different guises: the city was rebuilt in a manner fitting the status of a capital. Streets were laid in grid formation, wide (and now tree-lined) boulevards dominate the city centre and structures in style similar to St. Petersburg were built around the city. The Emperors Alexander I and Nicholas 1 were so successful in their mission to create a Russian imperial style city, that Helsinki has substituted for Russia as a film location during cold war times. (Reds, Dr. Zhivago etc.). Important events in the last 200 years include waiting 12 long years to host the 15th Olympiad in the summer of 1952; the opening of the Stockmann flagship store in 1930; the opening of the world’s most orange ** metro line in 1982; The Leningrad Cowboys teamed up with the Red Army Choir in the Senate Square in 1993 ***; the author visits for the first time in 2000 and is amazed by the change from winter to spring in three short months; much debate surrounds the plan to open a Guggenheim museum and eventually is defeated in early 2012 while the author celebrates her 10th anniversary living in Helsinki! * For more in-depth information check out the site Helsinki City has created. ** Our metro is also the world’s most northern metro line. The carriages inside and out are bright orange! *** Part of Aki Kaurismäki’s ‘Total Balalaika Show‘ film. I’ve had the pleasure of seeing Leningrad Cowboys perform live. Highly Recommended!